Comparative studies are increasingly used to identify factors responsible for the evolution of plant and animal phenotypes and social insects provide ideal systems for such studies as a result of their modular growth and their bewildering diversity in social organization. Here I review data on the lifespan of queens in ants and termites because such data are highly relevant for comparative analyses on life-history. Lifespan has been reported in 53 ant and 10 termite species. 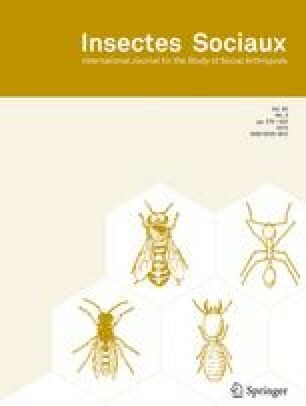 Information on the mode of colony founding and number of queens per colony is also provided for the 53 ant species. Finally, I suggest that students of social insects would greatly benefit if information on colony characteristics, individual phenotypes and behaviour would become available for a larger number of species, perhaps on a database that would be accessible on the web. Key words: Lifespan, queen, ants, termites, comparative analysis. Received 15 December 1997; revised 6 March 1998; accepted 24 March 1998.